The station will have dedicated entry/exit points connecting to the Hazrat Nizamuddin Railway station and the ISBT at Sarai Kale Khan. New Delhi: The Hazrat Nizamuddin Metro station on the Majlis Park – Shiv Vihar Pink corridor of Delhi Metro’s Phase 3 will be one of the Metro network’s major transit hubs as the station would provide direct connectivity with the Hazrat Nizamuddin railway station as well as the Sarai Kale Khan Inter State Bus Terminus. The station will have dedicated entry/exit points connecting to the Hazrat Nizamuddin Railway station and the ISBT at Sarai Kale Khan. One of the entry/exit points will be within a vicinity of 50 metres from the Sarai Kale Khan ISBT. Another entry/exit will be near the Hazrat Nizamuddin Railway station approximately at a distance of 150 metres. This station will be a major boost from the point of view of connectivity as both the Hazrat Nizamuddin Railway station and the Sarai Kale Khan ISBT do not have any Metro connectivity presently. The nearest Metro stations are at least 3 to 4 kilometres away. The station will also be equipped with broad staircases and escalators for the convenience of the passengers. The famous Indraprasth Park and the upcoming Seven Wonders project will be at the walking distance from Hazrat Nizamuddin station. 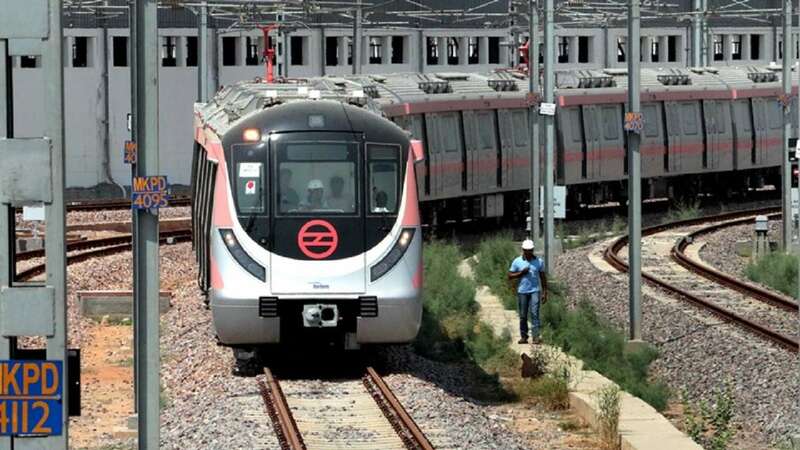 The Hazrat Nizamuddin Metro station also provides connectivity to the Hazrat Nizamuddin Railway station as well as the Sarai Kale Khan ISBT there. The Hazrat Nizamuddin Metro station will also have drop off bays near its three entry/exit points as per the Multi Modal Integration (MMI) plan. Adequate greening and beautification have been done around the underground station and tabletop pedestrian crossings have been provided on the roads in the vicinity for the movement of the pedestrians. The station has also been adorned by 30 artworks which portray the historical heritage of the nearby areas. Thematic impressions and ‘jharokhas’ have also been used to beautify the station. The major challenges faced during the construction of the Hazrat Nizamuddin station was the very high water table and highly varying geotechnical conditions (varying from garbage filled top layer to good soil to sandy soil to highly weathered rock to very hard rock within the stretch of just 265 meters). Controlled blasting was also adopted to break the very hard rock. Due to highly varying geotechnical conditions, half of the station was constructed by bottom-up approach and other half by top-down approach. The diversion of Ring Road was also a big challenge. There were innumerable power as well as Delhi Jal Board utilities (both underground and overhead) which had to be meticulously diverted so that the services rendered by these utilities did not suffer. The Hazrat Nizamuddin is the 3rd biggest railway terminus of the national capital after New Delhi and Delhi. Most south bound trains including Rajdhani and super fast trains originate from here. The Sarai Kale Khan ISBT is one of three major bus terminuses of Delhi along with Kashmere Gate and Anand Vihar. Buses for various locations in Haryana, Rajasthan and Madhya Pradesh originate from here.